Serve to impress. 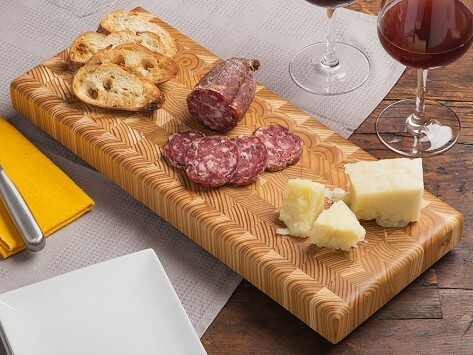 From log to glossy, end grain cheese board—it’s all harvested and assembled locally in a small Nova Scotia mill. They cut the Larch wood to expose its intricate patterns and gradients. But besides the aesthetic benefits, the flexible end grain will self-cleanse and self-heal after you cut. It even has rubber feet to prevent moisture from getting trapped. 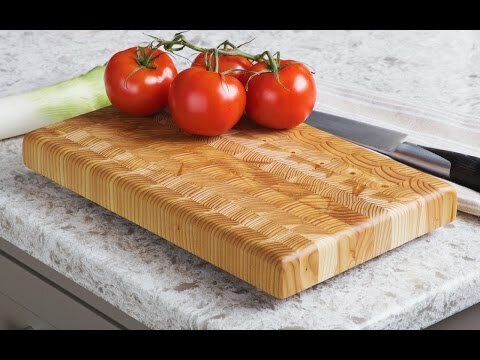 With proper care and seasoning, this heirloom cutting board will last you a lifetime. Dimensions: 17.75" x 7" x 1.5"